Another thing that fits IMO very nicely to the WW2 theme is to add some Pulp elements. As you may know I also like Gear Krieg very much. THE mixture of Pulp, Super Science, WW2 troops and daring adventures. 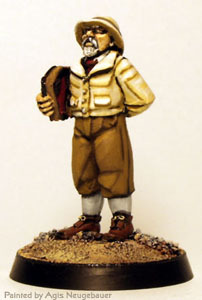 A fine company that produces suitable minis is Pulp Miniatures. The are also giving some nice Pulp style rules away for free. 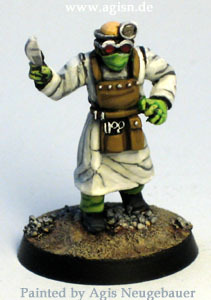 Make sure to check out their website if you are interested in Pulp miniature gaming. Highly recommended! Doc “Johnson” and the fabulous 3+1... 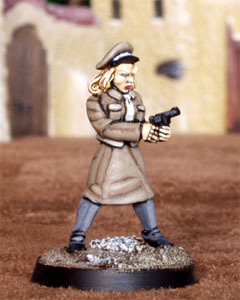 Very nice miniatures of the famous 30’s Pulp hero. ..that can turn into beastly Werewolves! 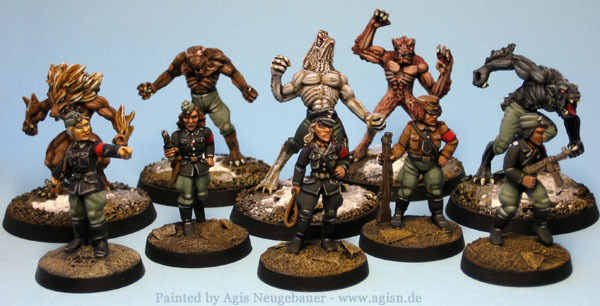 The Werewolves are from West Winds “Secrets of the Third Reich” range. 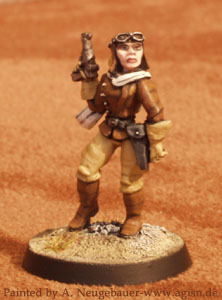 I bought 2 packs of the United States Rocket Corps minis from Bob Murch’s Pulp miniatures. The Rocket packs are just a bit reshaped. The Shark Fin was too big for my taste. The shouting Officer was about as good as it gets. The trooper was getting a head of an Artizan DAK soldier. 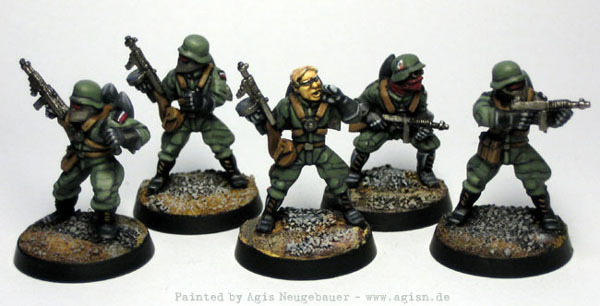 The other 3 are also only minor conversions: I trimmed the helmet design and then fitted a German WW2 helmet from Bolt Action on the head. Then again some trimming on the Rocket backpack (more angular fin) and finished are the German Raketentruppen.